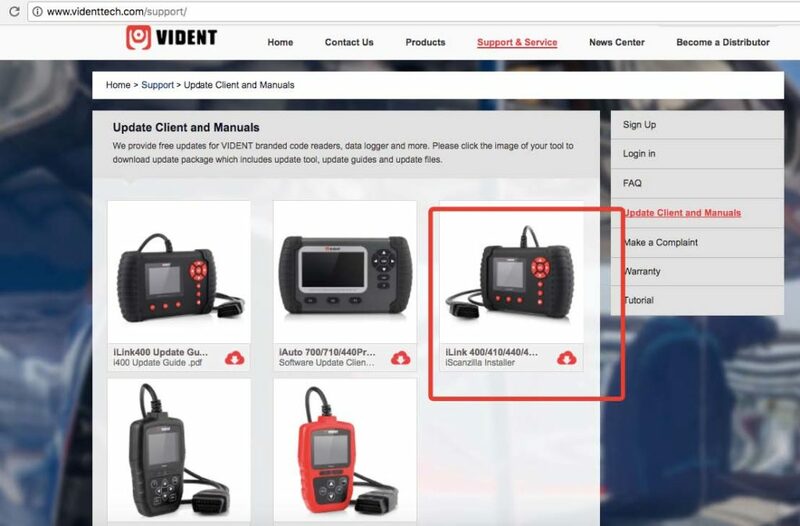 Why VIDENT iAuto700 instead of the other all-makes scanners? 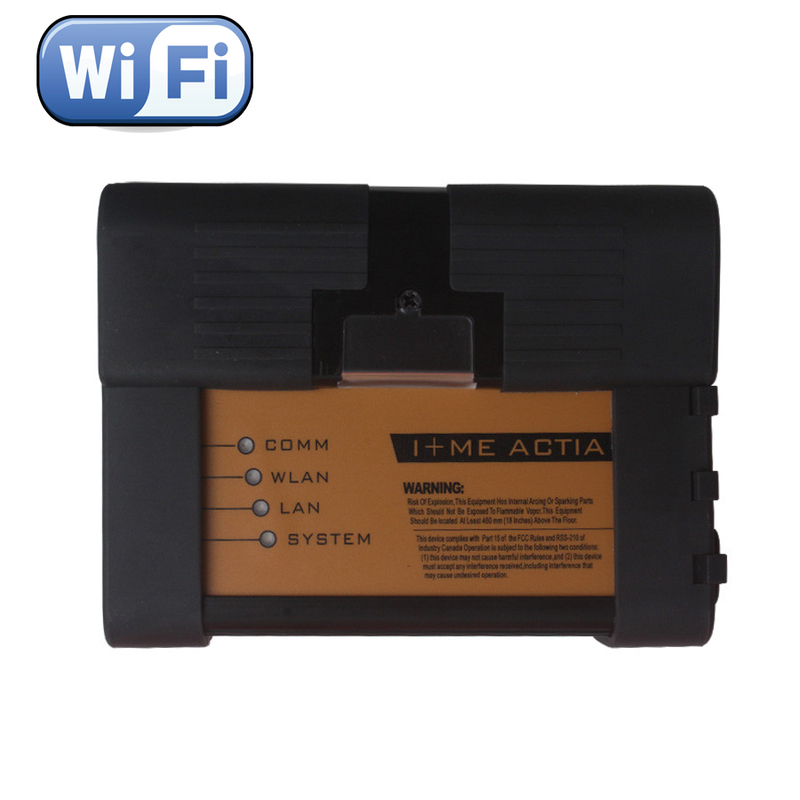 1.Has both OBDII diagnostic capability and service reset special functions on 52 makes in total. 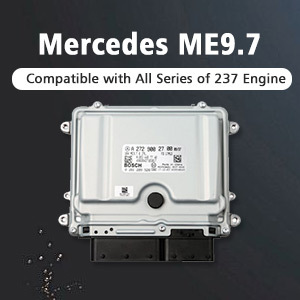 2.16 languages are available incl. 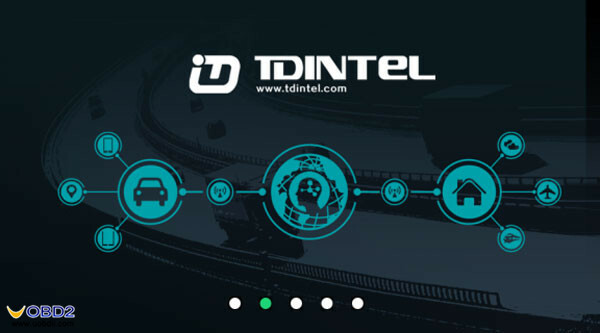 English, French, German, Spanish, Italian, Dutch, Polish, Swedish, Simplified Chinese, Traditional Chinese, Japanese, Korean, Portuguese, Hungarian, Russian, Thai. 3-year update online for free. 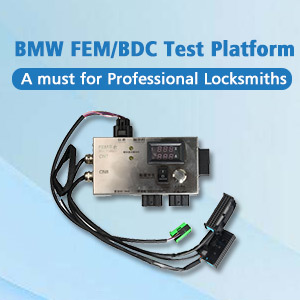 All system diagnosis including engine, transmission, ABS, Airbag, instrument, steering wheel, etc. 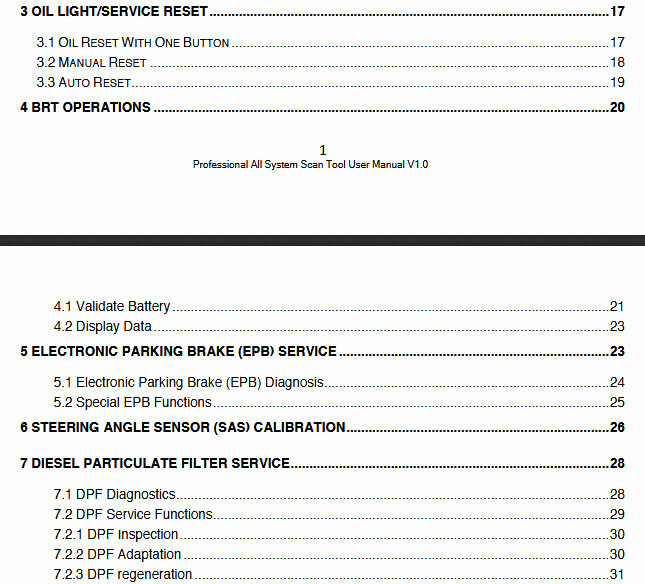 oil light/service reset, EPB and Battery configuration. 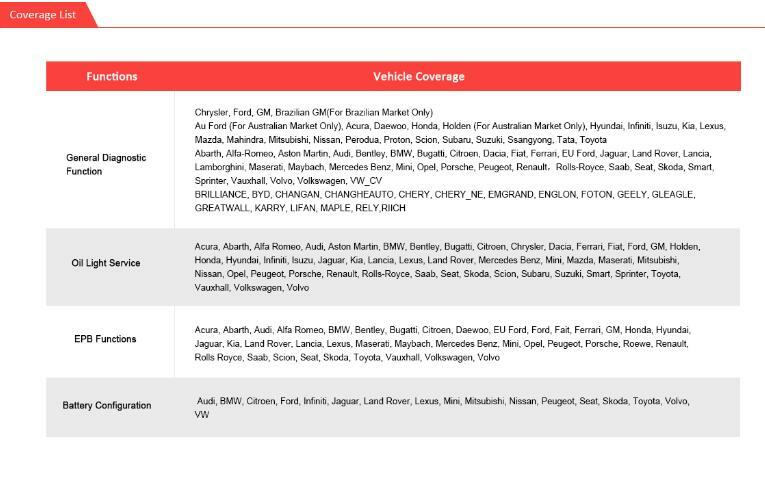 Covers 52 American, Asian and European vehicle makes, including the car and light duty truck with diesel engine and gasoline engine. 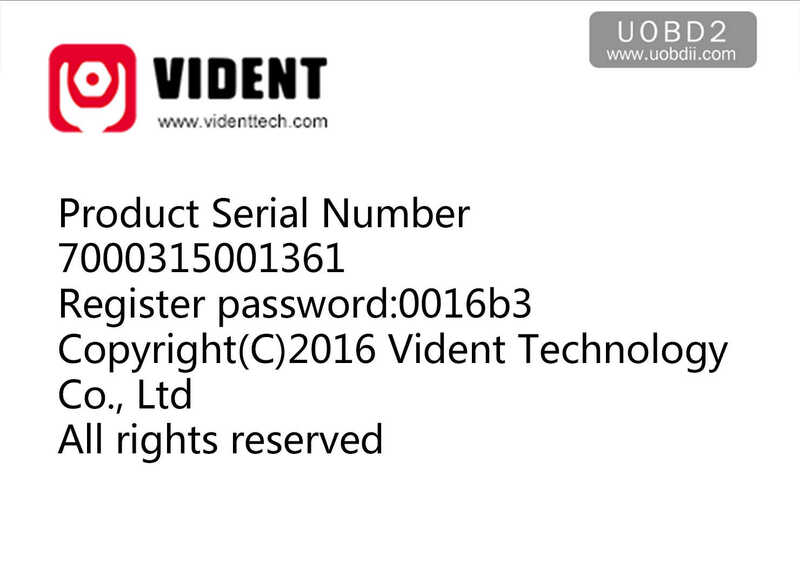 3.VIDENT iAuto700 default language is English, how to change the language I need i.e Spanish? The answer is you can offer the machine serial number, then the Vident tech support will reset Spanish language for you, then you can switch the language in the Language setting. 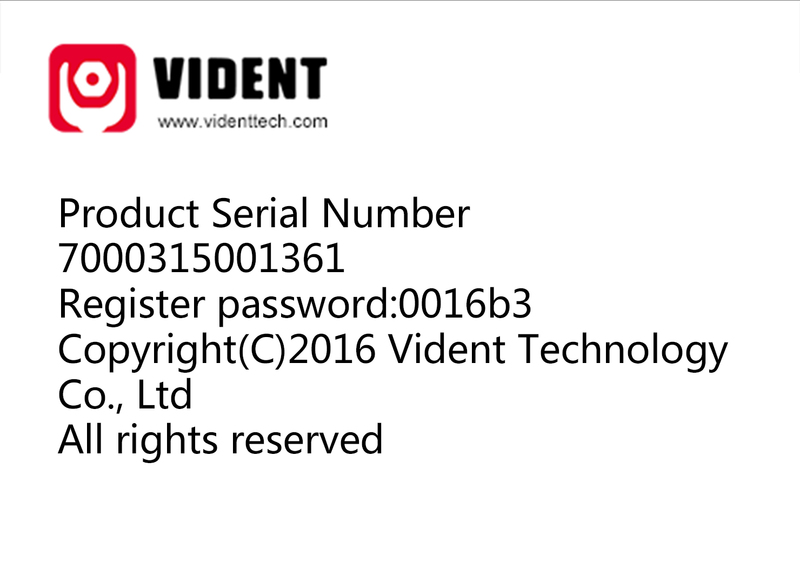 4.How to register VIDENT iAuto700? 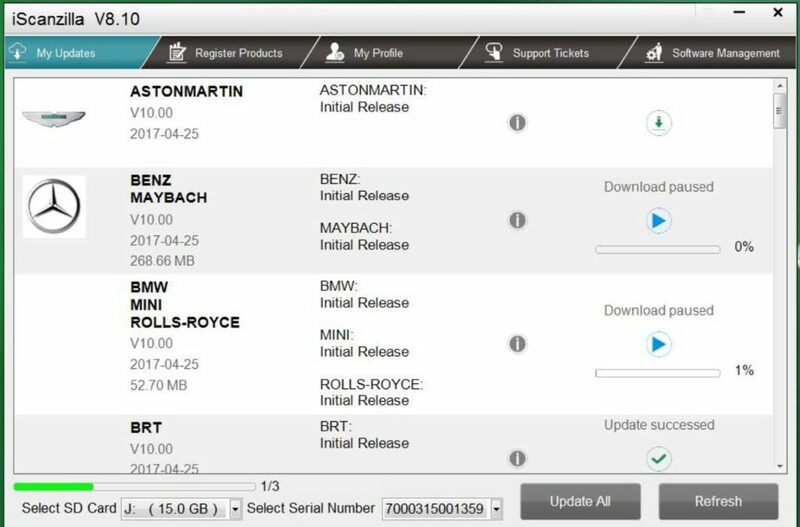 Or you can download the “iAuto700 software Update client” to install on your computer to register. 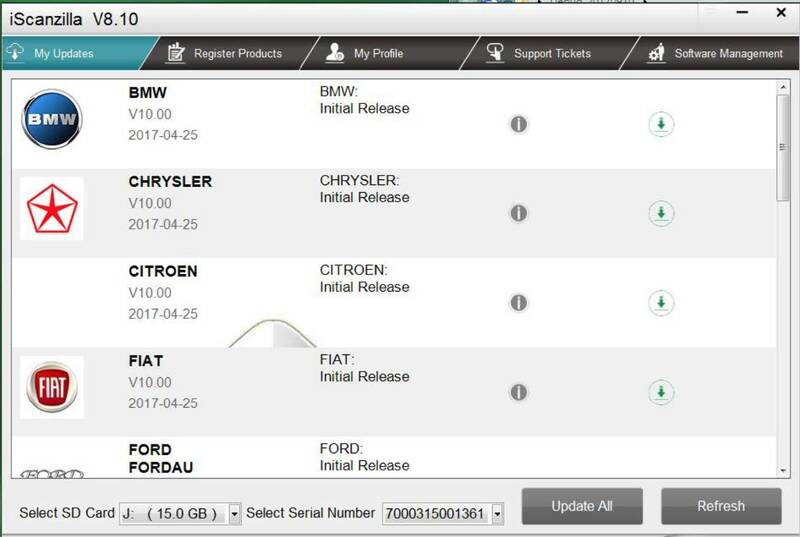 Firstly click on “Update client and manuals” and then “iAuto 700”. 5. Can I download the files of TF card from the official site? The answer is to install ” iScanzilla” using the CD packed with the machine, then to download the files into the TF card. 6. 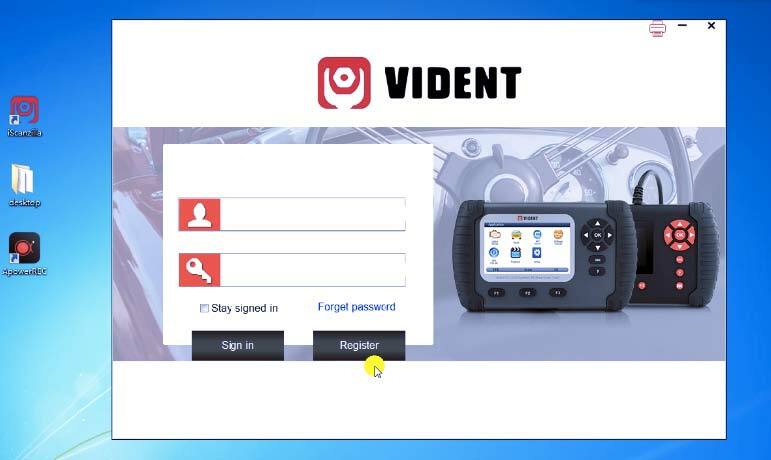 How to update VIDENT iAuto700 software and print the data? 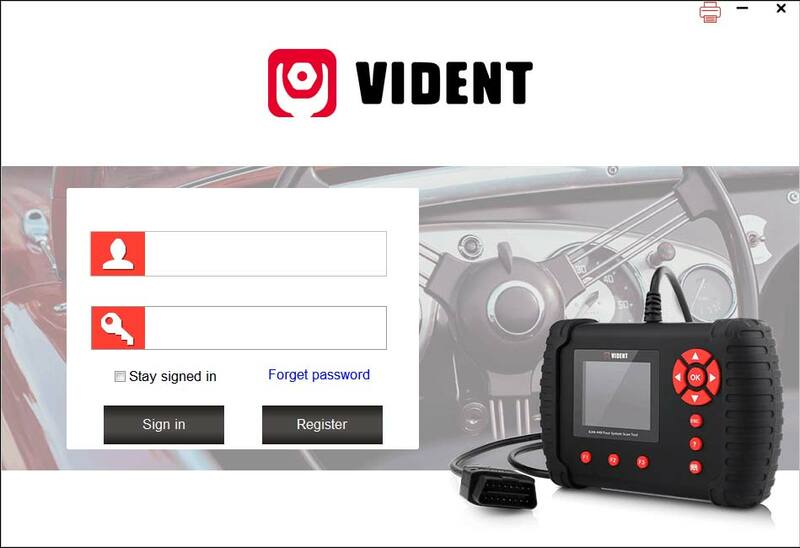 VIDENT iAuto700 is 3-year free update online. 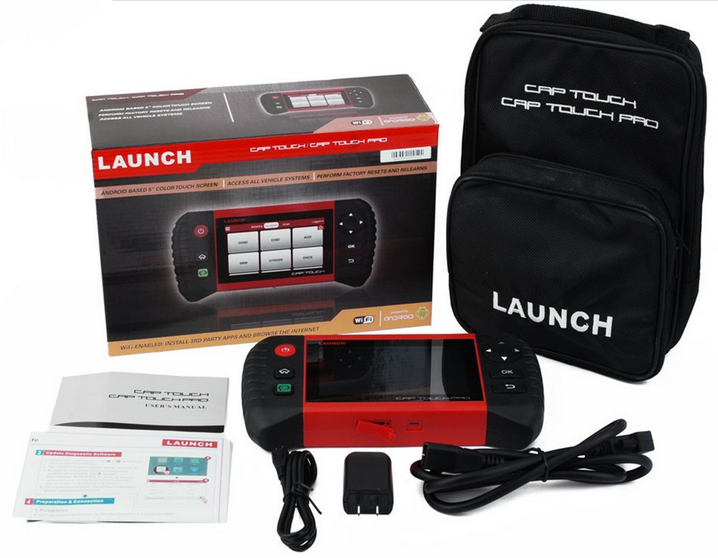 To apply software updates to the tool you will need a Windows PC/Laptop and an TF Card Reader. 2.The file downloaded will be a compressed zip file. 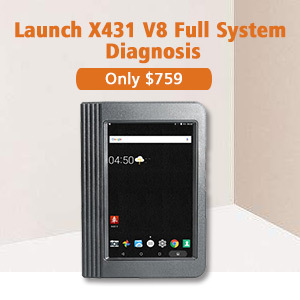 Open that file and run the installer inside it. 1.Once installed, boots up the iScanzilla software, click the Register button. 2.Fill out the registration form and submit. 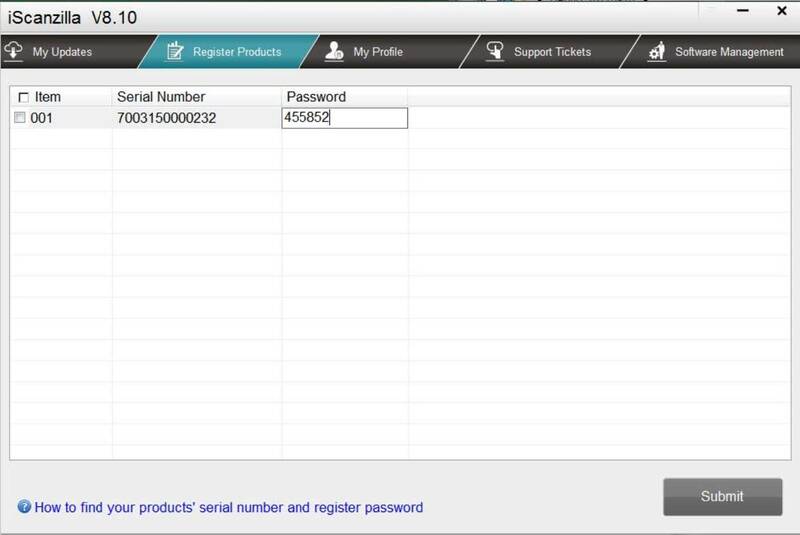 1.When logged in iScanzilla, click the ‘Register Products’ icon. 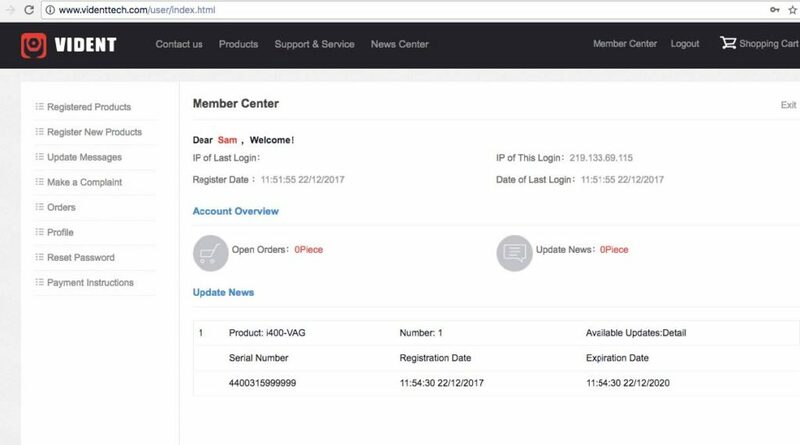 3.A confirmation box should be shown confirming successful registration. 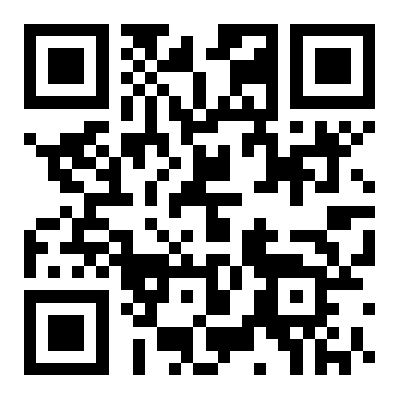 PC via an TF card reader. seconds, a list of the available software updates will appear. 3.Click the Update button to download and install available updates. unplugging it, to avoid the possibility of data corruption. 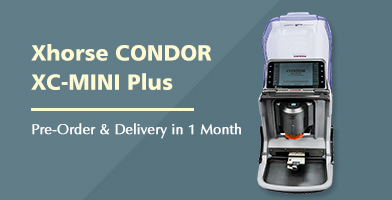 website and log in to process the purchasing. 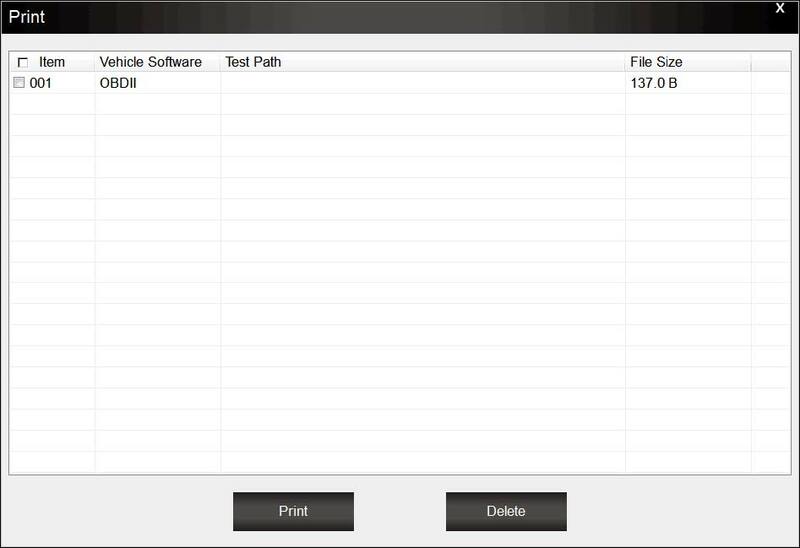 It’s very easy to print out the test result through iScanzilla. 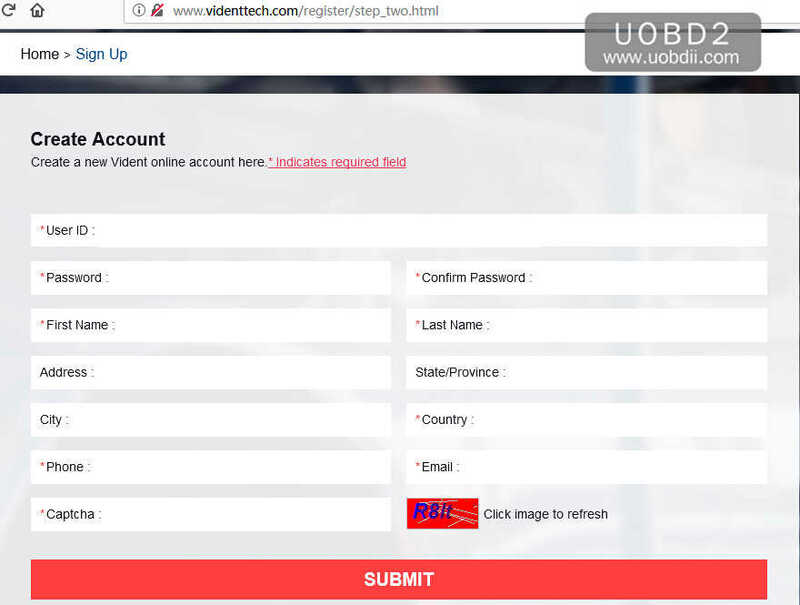 1.Click the Button located on the upper side of iScanzilla. 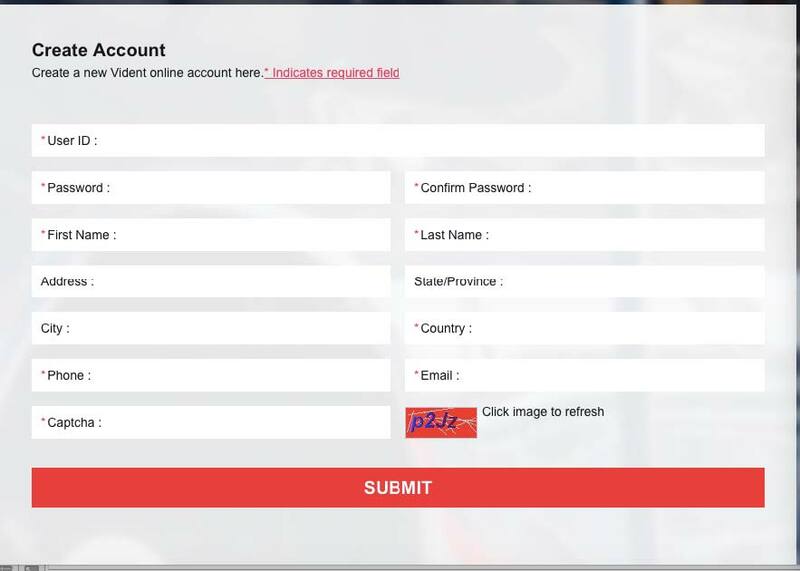 You can enter the print screen without logging in iScanzilla. 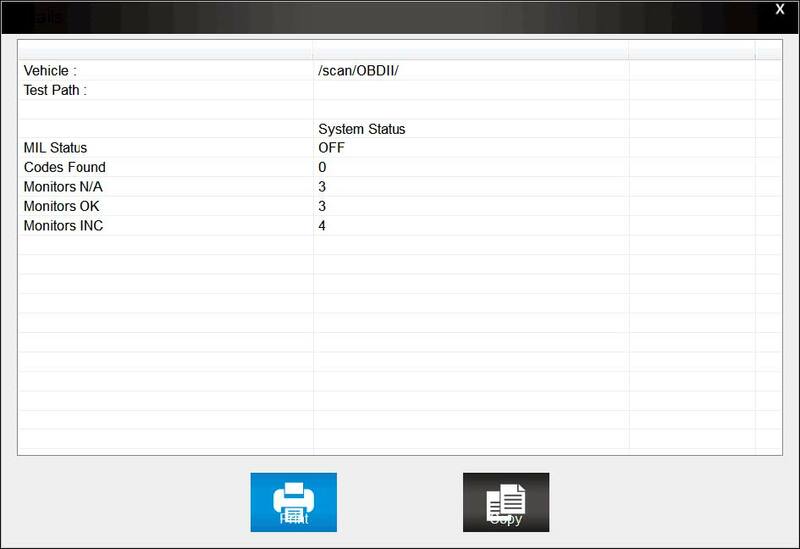 2.All data saved/stored in the TF card would appear on screen. 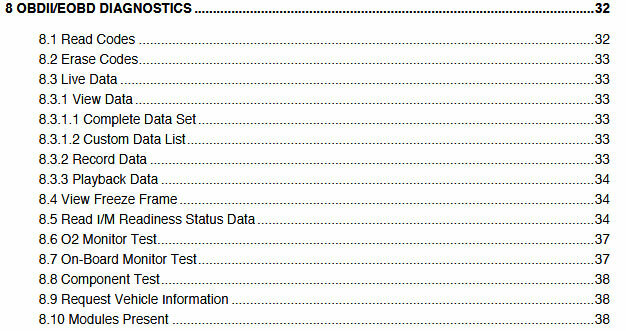 3.Tick a piece of data to either review it or print it out. 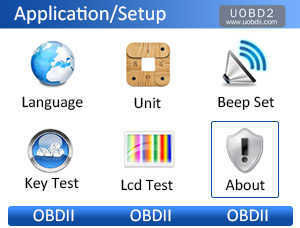 UOBDII Official Blog All rights reserved How to use VIDENT iAuto700 all system diagnostic & service tool?